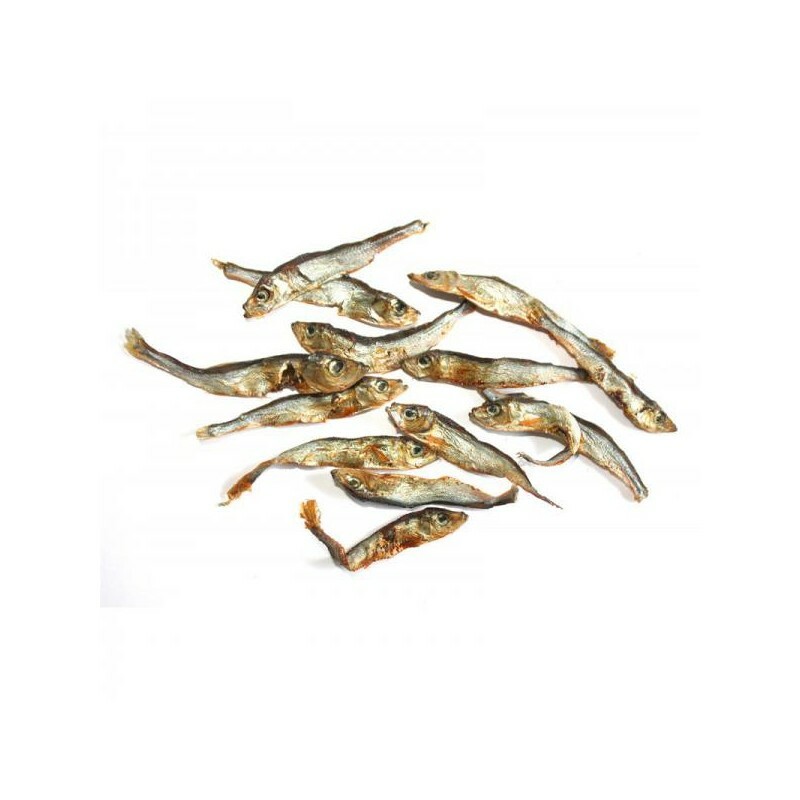 These BIO Sprat have been dehydrated at low temperature to preserve all their properties, they are delicious and have a high tolerance, your dog will love this small variation in his diet. 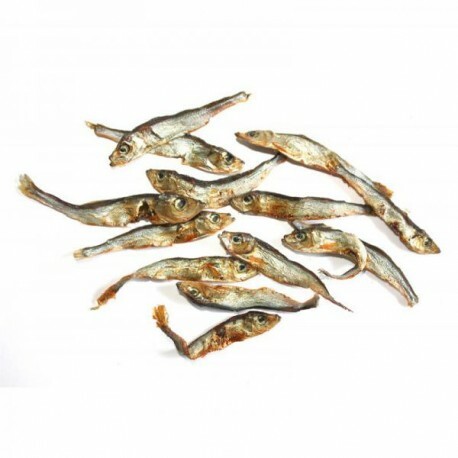 The sprats are a type of herring; these dehydrated snacks will not only be delicious to your dog, but also, they will provide omega-3 fatty acids, with endless benefits for your dog's skin, hair and heart, since omega 3 acts as an anti-inflammatory and is beneficial in allergic processes. Due to its length, between 5 and 12 cm, and its consistency, they can be easily divided into smallet treats. This snack is suitable for large and small dogs. 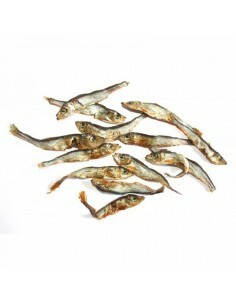 Carefully dehydrated and without dyes or artificial preservatives: a real delicacy! Approximate measurements of each unit: from 5 to 12 cm.